I’ve always done an ample amount of shopping online, but ever since I had a kid nearly 3 years ago, nearly all of my shopping has moved away from brick and mortars to online shopping. It’s way easier to shop from the comfort of my home without having to plan a trip out AND wrangle a child through it all. It’s also more convenient because I can shop at late hours, after my kid is asleep, when most brick and mortars would be closed. My husband Benson almost entirely shops online for anything that’s not groceries–clothes, electronics, office supplies, home goods, toiletries, tools–you name it. He’s also very smart and efficient about it. Plus, he finds the best stuff–ask any of our friends. They trust his recommendations for almost any type of thing across the board! I’ve learned a thing or two from Benson on clever practices when shopping online, how to make wise and informed decisions, how to find great stuff, and basically how to make online shopping as quick, painless, and convenient as possible. While I purchase many things besides clothing online, today I’m sharing the best info that Benson and I have learned so that shopping for clothes online (and other things) can be easier and more convenient for you. Below are pieces I painlessly purchased thanks to the tips below! Nordstrom – One HUGE reason I love shopping at Nordstrom is because of their customer service. First, shipping and return shipping are ALWAYS FREE, with no minimum purchase necessary. Also, there’s not really any time period for which you need to return items. You could have purchased something 8 months ago and still return it. Lastly, their return policy is incredibly generous and lenient, with the trust that we will not abuse it. I have returned worn items because they broke within a couple of months or shrank in the wash–usually for items that I paid a lot more for like shoes or jeans and felt for how expensive the items were they shouldn’t be breaking so soon. I’ve returned items without tags, and they’ve been able to find record of my purchase in their system. Anyway, this is about free shipping, but I had to add all this in because Nordstrom is amazing like that! Amazon (with Prime) – Amazon has SO MANY apparel items, in addition to carrying basically everything else you could ever possibly need, haha! If you don’t have Prime, I’d totally urge you to get it. Not only is shipping for items free, but it’s also faster. SO FAST! Also, Prime Day is approaching (July 11th! ), and anyone who has a Prime membership gets access to some of the most INSANE DEALS on all of those “everything else you could ever possibly need” items–kitchenware, electronics, shoes, athletic apparel, women’s apparel–everything. If you want to try Prime, you can actually do a FREE 30-day Prime trial! Read about it HERE and consider signing up for the free trial in light of Prime Day approaching! Old Navy – Free shipping here requires a minimum purchase of $50, but return shipping is now free at no minimum amount. I know many people scope the site to buy a shirt but don’t meet the minimum $50 requirement for free shipping and then fill out their order with more clothing for their kids, husbands, moms, and dogs. 😛 I ALWAYS fill out my order with multiple sizes (see below) because WHY NOT? Return shipping is free! If it still doesn’t meet requirements, then I will fill out the order with other things. However, often times it’s other items I wanted to try in multiple colors and sizes as well. Zappos – Very, very good customer service. I love using the online chat, but they are helpful by phone as well. Shipping and return shipping is always free and fairly quick, and you have a whole 365 days from purchase to return! Macy’s – This is similar to Old Navy, requiring a $49 minimum for free shipping, but return shipping is always free. Plus, if my memory is correct, you get 365 days to return! ModCloth – Also a $50 minimum for free shipping, and returns are free if you choose to be reimbursed with store credit. Being reimbursed with store credit is not ideal, unless you are already a huge fan of the store and know you will inevitably shop there again in the future. But, it’s better than nothing! Target – Also usually has a minimum to get free shipping, or it’s free with a REDcard, and in-store returns are fast and easy. <3! 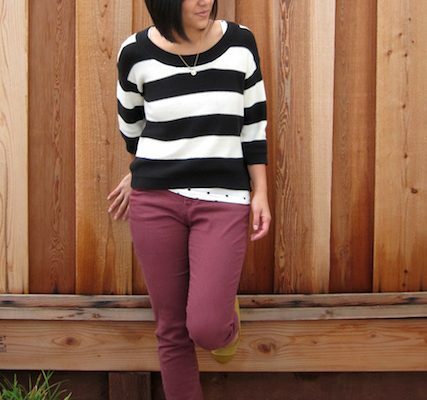 Mindy Mae’s Market – A boutique I recently discovered this year that is adorable! And yay free shipping! LOFT – Free shipping on orders over $125. Not the best, but better than no free shipping, and you can return in store. With stores that have free shipping, I almost always get 2 sizes of everything. If I need a different size, I hate the hassle of waiting for my package to be returned until I can get the new size. I also don’t like running the risk of the item being sold out by the time I realize I need a different size. Buying multiples and knowing I can return things for free makes shopping online so much more enjoyable and less stressful. If a store offers free shipping on exchanges, then I will not buy multiple sizes–unless I *really* want the item and am worried it’ll sell out. I ordered two sizes of the white twist front tee (HERE) because it seemed to run big and even after reviews I still wasn’t sure which to order. No prob—because free return shipping was available! Look for 4+ stars. If it’s got 3.5 or less, I’ll quickly scan the bad reviews to figure out why most people gave it poorer reviews and see if it’s something that’s a problem for me. Sometimes people give the item a lower rating for things that have nothing to do with the garment itself, like slow shipping or the item arriving poorly packaged. That doesn’t mean the product itself is bad. Sometimes concerns are about the product, and scanning quickly helps me know that I should dismiss it and not spend anymore time looking at the item. Sort “Most Helpful” and read those first. Sometimes items have hundreds or thousands of reviews, so sorting by “most helpful” reviews saves a ton of time. I’ll get all the info I need within the first 3-5 reviews that way. Scan for numbers for info regarding sizing. Sometimes these aren’t in the top 5 “most helpful” reviews, so if I need more info about sizing I’ll scan for numbers and look for people similar to my measurements to see what they say about fit and sizing. This has worked REALLY well for me getting the size I need to the first time. Scan the bad reviews – even with 4+ star items. I just look at a handful of the lowest reviews. Again, it’s to see if people are complaining about things like shipping or if they’re actually complaining about quality. If several people are saying the same thing about quality, I will proceed with caution and read more reviews to figure out what’s really going on, even on a 4+ star item. Not all sites have this, but many have at least some info on garment length or bust size and measurements. For jeans, I always try to find info on inseam so that I’ll know if it’ll be long or short enough for me, and the leg opening so I’ll know if the jeans will be skinny enough at the ankles or if shorts will go around my thighs. I compare these measurements to garments in my closet that fit me well to determine if the item I’m shopping online for will work for me. Nordstrom tends to have info on garment length, inseam, and leg openings which is another reason I loooooove shopping at Nordstrom! Zappos also tends to have that info. Old Navy tends to have less info, so I have to read more reviews to find what I’m looking for. Amazon always has amazing reviews but the amount of product info depends on each brand. For the olive green dress above (HERE) I scanned measurements for 5+ different similar dresses and I had peace of mind ordering this one because I knew it was long enough for me while the others were 4″ shorter than I wanted. This turned out perfectly! I hope that helps make online shopping a little easier for some of you! Which of these do you already do, and which will you start doing more of? What are your best tips for shopping online? Hope you have a FANTASTIC July 4th weekend! Lace and Utility Shorts Always Wins + 6 Utility Shorts to Try! 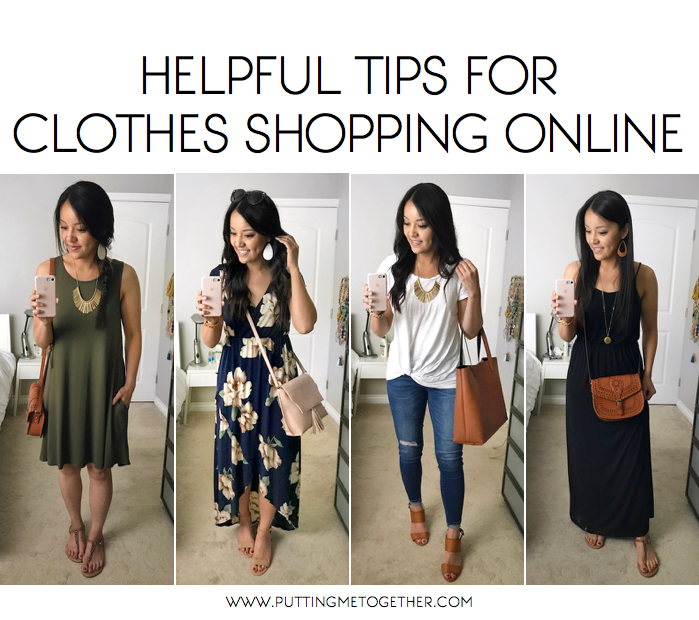 Still haven’t nailed the whole online shopping thing yet, so I found these tips super helpful! thanks for taking the time to compile such a list. i really really wanted to buy a pair of shorts at loft that was half off but their shipping had to be 99 or more to be free. i would have to go to the store anyway to return what i didn’t need just to the get the free shipping, which to me defeats the purpose. i’m not just looking to get my desired item, but get it without going into the store! when i’m sure of my size and there’s no need for trying alternates (like i do with old navy b/c that can be like 3 sizes there) it’s not worth paying for the shipping. super bummed. Yes to all of this! I love shopping online and do so often. In fact I ordered that olive dress you recommended and it’s perfect! My online shopping tip is to google discount codes before purchasing if you don’t already have a coupon. Just takes an extra minute and I’ve saved some money that way! I’m definitely one of those “fill the cart to get to $50 at Old Navy” people…but I often do multiple sizes of the same item because there stuff can sell out quick. I’ve started shopping at Nordstrom slightly more (like, 3 times last year) and have been really impressed with their shipping every time! return shipping if nothing works out. Ugh, I know! I feel similarly, even though their $5 flat shipping isn’t bad compared to other places. I often wait until there’s free shipping, except returns still aren’t great. If I can’t, I try to buy over $100 worth of stuff to get free shipping and honestly, many times there I just pay for the return shipping. It’s not ideal, so I tend to only shop there only for things I REALLY REALLY REALLY want to try, always order 2 or even 3 sizes so that I don’t have to do the whole thing over again and worry about more shipping, and I just swallow the fact that I’ll have to pay for shipping back some of them. I shop online like crazy but never really went beyond checking reviews 😑 thanks for the tips will implicate all of them! Love your ovlie dress! Got to get it! How would you compare zappos to the other retailers that you mentioned? Zappos is pretty high up there for me. Their customer service is phenomenal, so I worry very little about anything going wrong. I typically shop there for shoes and designer jeans (though designer jean shopping paused once I found the Old Navy rockstars! :P) I love the videos they show of people wearing their shoes because it’s more info on how they might look on me. They have other apparel but they tend to be higher end luxury brands, so I don’t shop there as much. Let me know if you have other questions! These are great tips. Have you actually used Spring yet? The website is a little bland and not super informative , so I would like to hear more of your experience. I would also recommend eBates. Nordstrom used to offer cash back but several other retailers do (Old Navy, Target and I believe Loft). I have gotten good cash back from them and they apply coupons that may be lurking at their that I may miss. One other thing about Loft, you can return to the store for free and place an order there with no shipping. I know, It sort of defeats the purpose but if I know what I want, I’ve run in quickly and placed the order or made the return. Loft sells several things online that are not offered in the stores so this can be helpful. I am fortunate that I have a Loft fairly close to me but I would not do this if it was at my local (not really) mall. I agree about reviews. I have found my most helpful information has come from reviews and it definitley sways my buying decisions. And one last thing, as much as I hate being on email lists, I do find that I get free shipping codes at times that I would not receive otherwise. I have set up a separate email address for emails from retailers. Thanks for all your info and tips! I have shopped at Spring and I agree with you about the blandness and lack of info. I really wish they would open up for reviews. I have to go to other sites to find reviews, then go back to Spring to order with free shipping. I’ve purchased two makeup items and one skirt from there. What’s interesting is I think the items get shipped straight from the brands, versus like from a Spring warehouse or something. And it seems that Spring just covers shipping. However, because of that, from what I recall I don’t think shipping was very fast. It wasn’t painfully slow, rather similar to Old Navy’s. but I dunno…I suppose Amazon Prime has spoiled me haha. I had to return the skirt I bought, and it was all smooth and easy. These are such good tips! I always check the measurements too – the most important thing when shopping online! And I’m much more likely to order more and to try different things if a store has free shipping and returns. I’m a mum too and I find solo shopping with two toddlers is near impossible, online shopping (or taking a friend!) is the only way I can buy. With all the postpartum changes though my sizes are all over the place and if it doesn’t have free returns or I can’t try it on I’m not going to buy it! It’s really cut down on my shopping, ha! Made the 6 month no shop challenge I just completed easier at least! Hahaha yes, I suppose size fluctuation will really help with not shopping! I love your tips on reading reviews! A quick question about the blue dress – is it a true wrap top or faux wrap? I love the look and it looks like it *could* be perfect for nursing but I can’t 100% tell. Thanks, Sarah! The top is a wrap and is absolutely nursing-friendly. It’s the kind where you can just pull it to the side. One last question – how much stretch does it have? 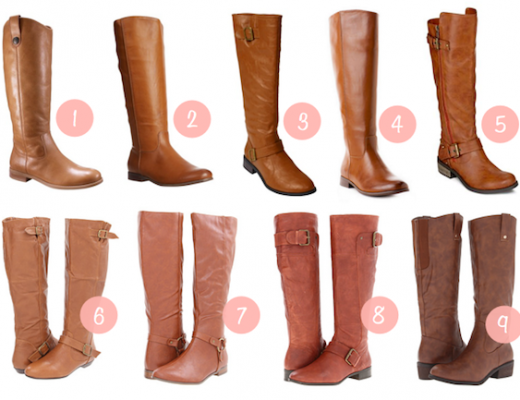 I wear between a 8 and 10 depending on the brand. Ordering two different sizes is key for me! Typically it gets me free shipping and one is bound to work out! Thank you for sharing these tips and your experience! Your blog is helpful on so many topics…a valuable resource! I recently bought a shirt at Nordstrom and it’s a little big. Wish I had gotten smaller size. I wore it once to dinner. It doesn’t smell or anything but it doesn’t have the tags either. Can I try returning it online or should I do that in store? If you bought it online, you could try return it online. If not, you should do it in store.